This is a little unique twist on Reuben Sandwiches, Hash Browns and Corned Beef Hash. Not sure about you, but I love all 3. I wanted to make something different so this is the idea I came up with. I mixed everything together but without the bread. I think this would be great for any get together especially for this weekend. It’s easy to make and doesn’t take that much time. Enjoy! On Medium to High heat in a large skillet, add olive oil. Add chopped onions and cook until translucent, place frozen potatoes on top of onions. Season with salt & pepper and cover. Should take about 10 minutes on 1 side then flip and cook for another 7 to 8 minutes. Cook until you get a nice golden brown. Meanwhile slice the Corned beef into strips. Take a casserole dish and begin to layer like a lasagna. 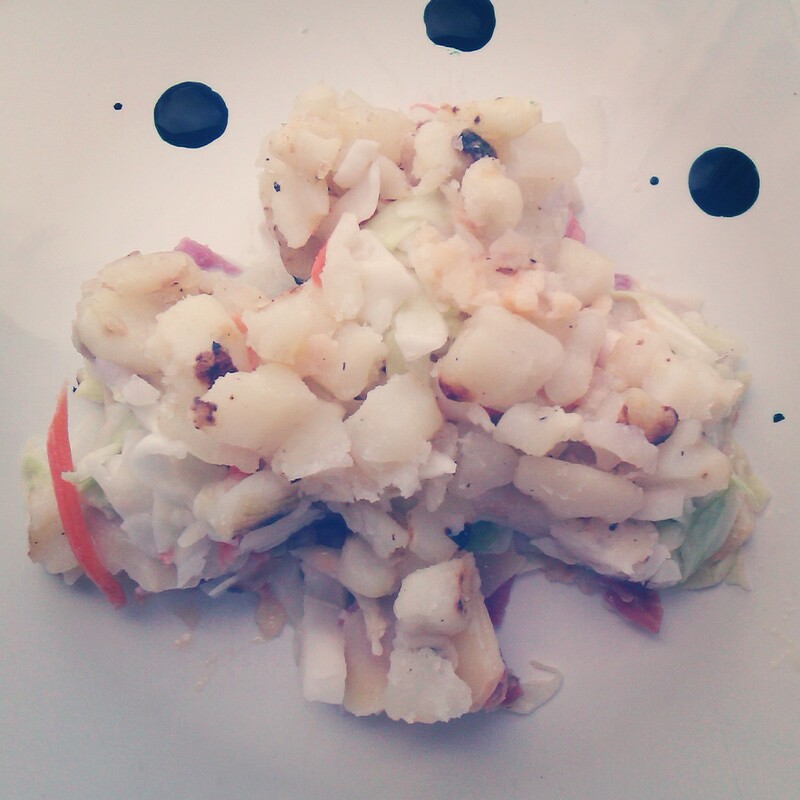 Put half of the potatoes on the bottom and press down, spread dressing. Next add chopped corned beef, swiss cheese and coleslaw. Last place the rest of potatoes on top. Note: This dish can be replaced with Saurkraut inside instead of coleslaw, and you can bake it for about 20 to 25 minutes. I love rueben sandwiches and can’t wait to try this recipe! Thanks for sharing!